After a whole week of having tight schedules and meeting deadlines, it's time to indulge myself in something to relieve my exhaustion. 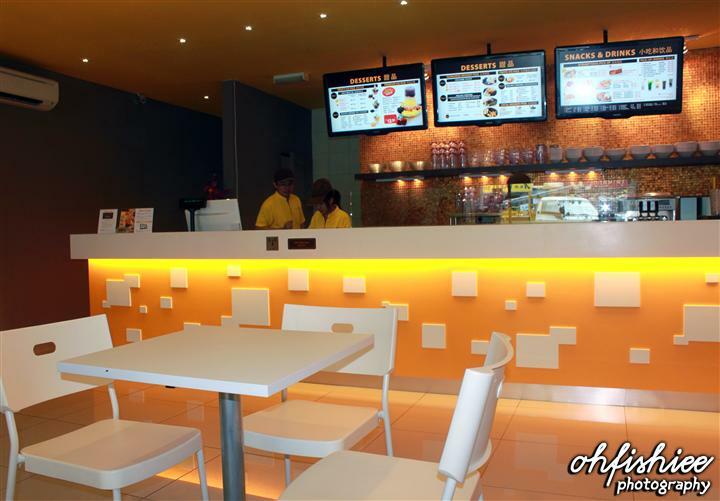 What's better than having a relaxing afternoon at Pick-Me-Up, a café which serves scrumptious desserts and snacks? Let's have this first, while waiting for our desserts and snacks to be prepared. Here's the newly-introduced dessert, for dine-in only! 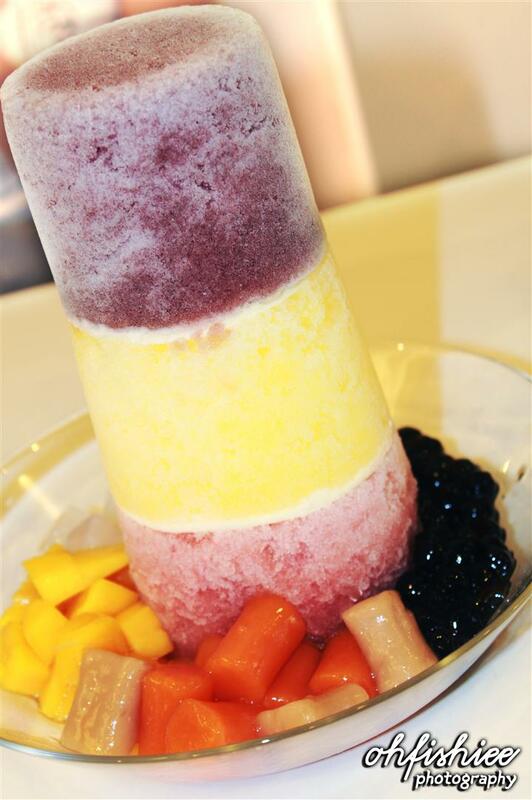 The icy block are separated into 3 layers, with blueberry ice on top, mango ice in the middle and strawberry ice at the bottom. 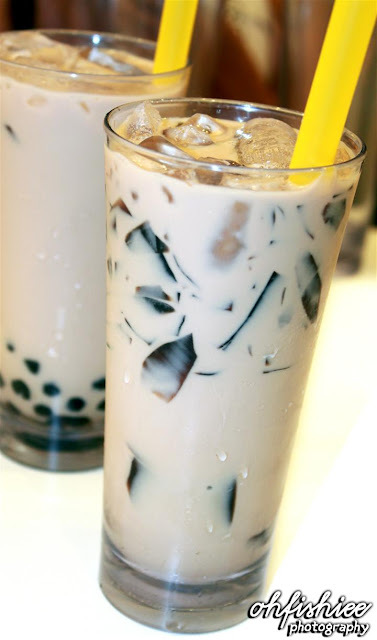 Accompanied with mango cubes, nata de coco, pearls and my favourite taro balls, the ingredients are all evenly-combined. This fruity pick is slightly sour and sweet; Very appetizing! This is a little different from the premium ice pick above because it uses Taiwanese style, with grass jelly ice on top, palm sugar ice in the middle layer and finally the soya ice at the bottom portion. 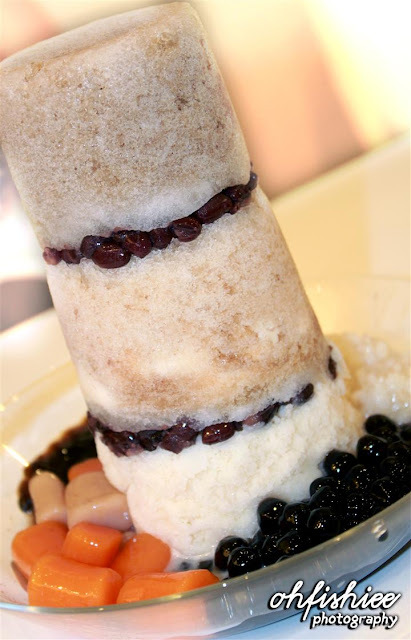 Each layer is separated by red beans, and the pearls and taro balls in the bowl complement well with the icy combination. When it comes to food, icy and creamy desserts are always my best pick as it nourishes my taste buds with different tinge of sweetness. 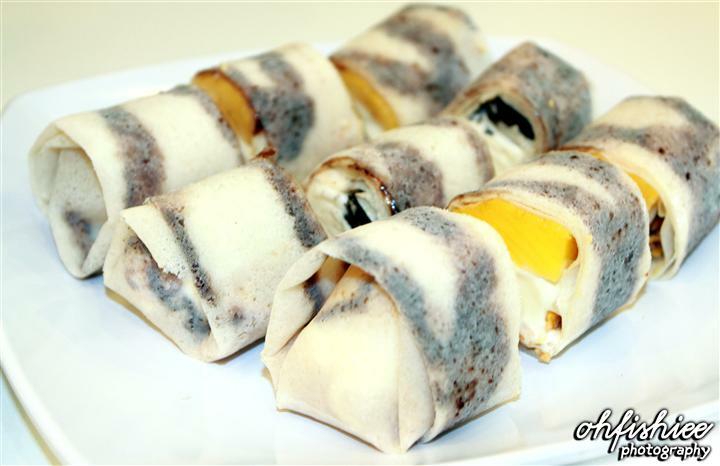 The burrito skin is covered with chocolate, wrapping the fruit and vanilla ice cream together with some crushed peanuts in it. I'm not surprised when I was told this is the bestseller @ Pick-Me-Up, because it worked wonderfully – the delicate chocolate soft layer skin just gave it that extra edge. 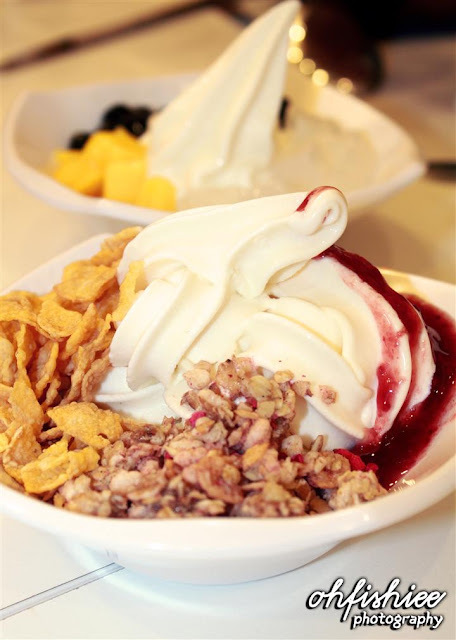 This bowl of froyo is made of frozen yoghurt, topped with 3 types of delicious toppings of your preference in which I've chosen Cornflakes, Toasted Oats and Strawberry Sauce here. There I'm surprised with the large portion of yoghurt with unexpectedly low price. I don't think I can get more than a 100g of frozen yoghurt at only RM6.50 (yet to include toppings) anywhere else! 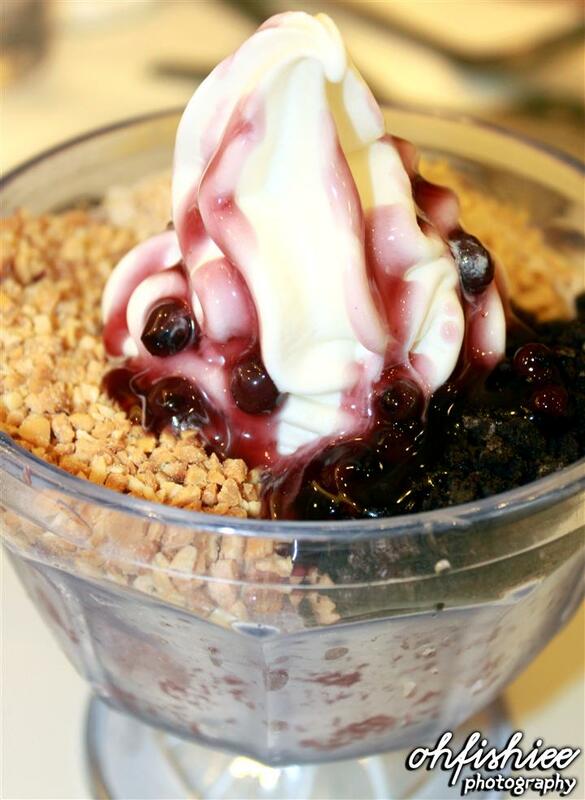 This fusion of frozen yoghurt on top and blueberry ice at the bottom layer is full of goodness, nutritious and delicious! Again, I can pick any 3 toppings from the wide selections, so I have Pearls, Malt and Oreo Cookies here. It balances up my cravings for some healthy yoghurt and fruity shaved ice. 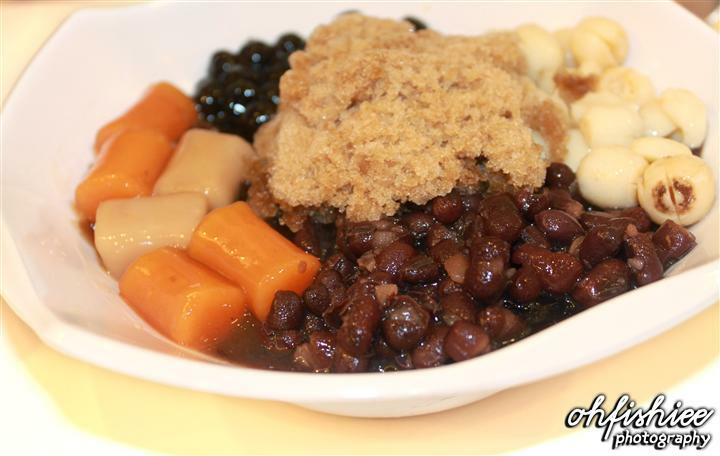 Another best-selling product here is this bowl of Grass Jelly Ice with Red Beans, Taro Balls, Lotus Seeds, Pearls and Barleys. This is my first time seeing so many toppings on a bowl, without any additional charge! That definitely is more worth than what other shops are offering. The best thing about Pick-Me-Up is to have snacks along with the desserts. The hot and cold combination works wonder on the taste buds! Under this thin, crispy skin, lies the minced curry chicken meat with potato chunks, which tantalizes my taste buds with mild spiciness. 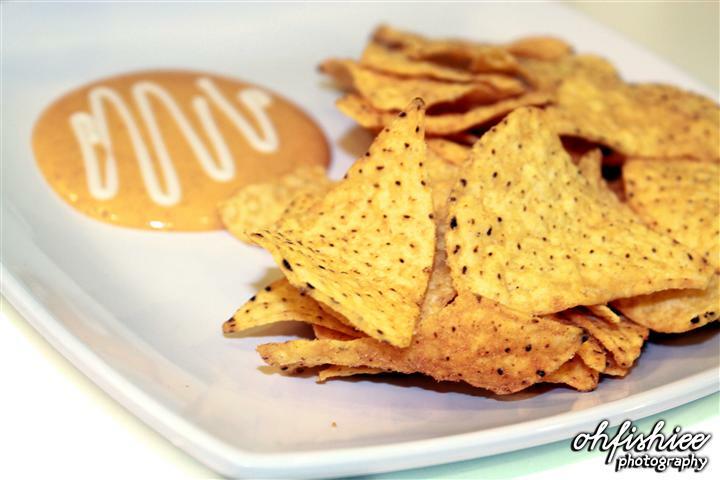 It's indeed a good start for an exciting snacking moment. A quick bite is great, but this is really addictive that I feel like ordering one plate after another! 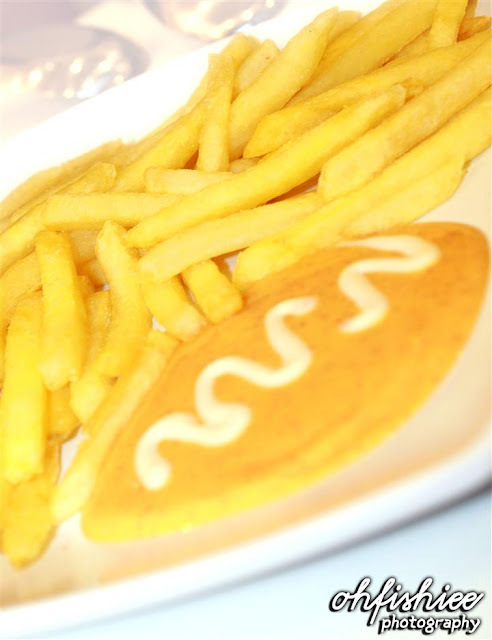 This condiment here is actually the same minced curry chicken without the potato chunks, but this is with added cheese. 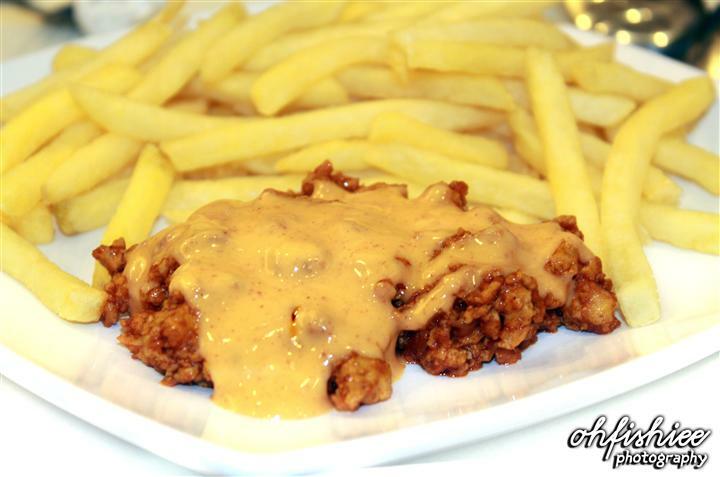 Dip your fries into the sauce to feel the enjoyment! I totally love cheese; The twist that it creates on the buds is in itself so flavourful. A scoop of ice cream is considered an add-on, with additional charge of RM1.00. 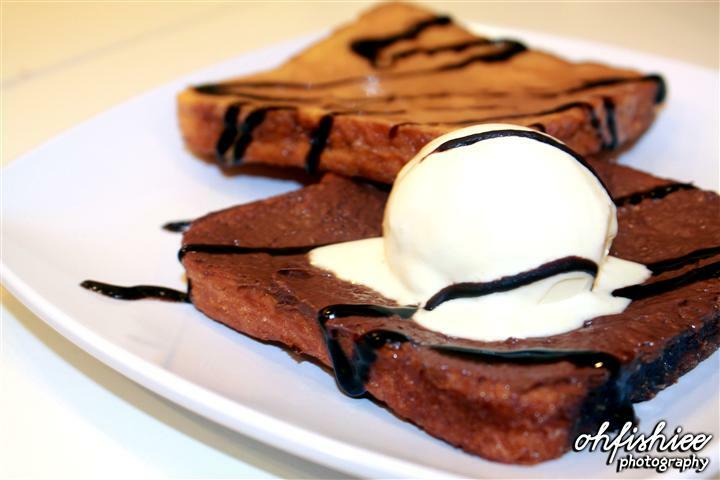 One piece of bread is covered with a layer of melted hazelnut chocolate spread, while another is of peanut flavour. When the soft peanut spread melts, it just leaves my mouth speechless! 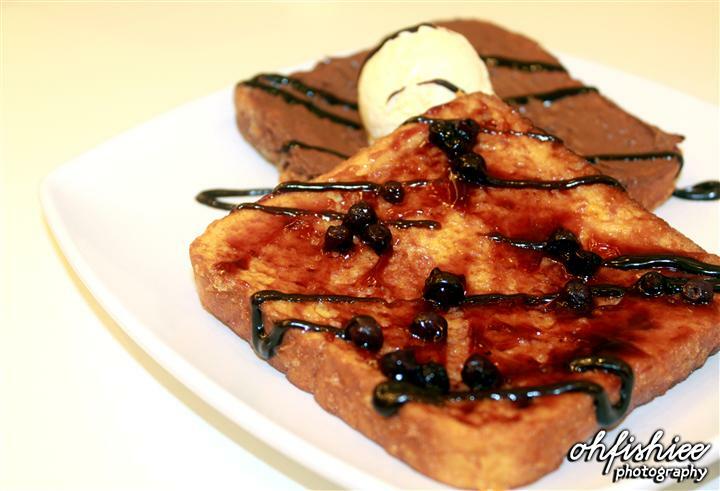 At the right amount of sweetness, a piece of blueberry toast can fulfill my taste sensations. And I believe when the French Toast dances with little sweet ice cream, it creates the perfect balance of taste, and then all my buds just sing together. All of them sound so appetizing that I promise I'd try them all during my next visit! 1. There are way too many foodstuff to be chosen from. Be it a relaxing teabreak or a filling brunch, it satisfies me well. 2. Personally, I love the ice cream burritos and frozen yoghurt the most, especially when they're offered at reasonable prices. 3. I really appreciate the added innovation and creativity in the fusion of desserts and snacks here. Most combinations are new and exciting for me that I'd certainly revisit this outlet for more in future. Like their Ice Cream Burrito! Hi Nikel, that's my fave too! 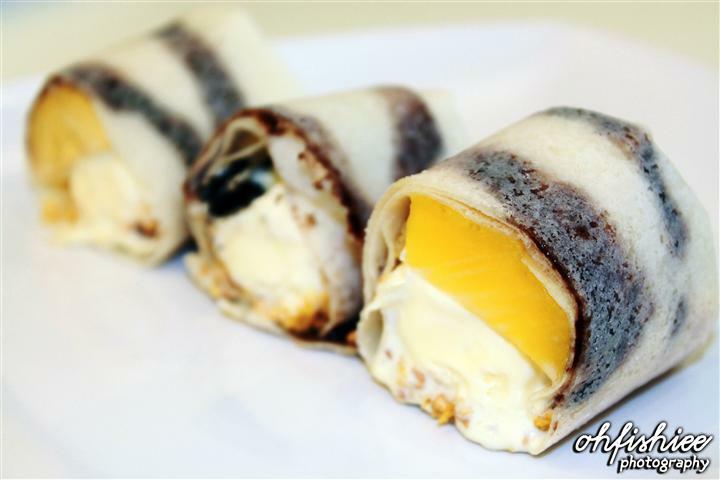 I want to try those ice cream burritos. ^U^ going to try it today. Looks good. On the first look, it looks like a fast food restaurant! #4 definitely looks the most delicious for me! 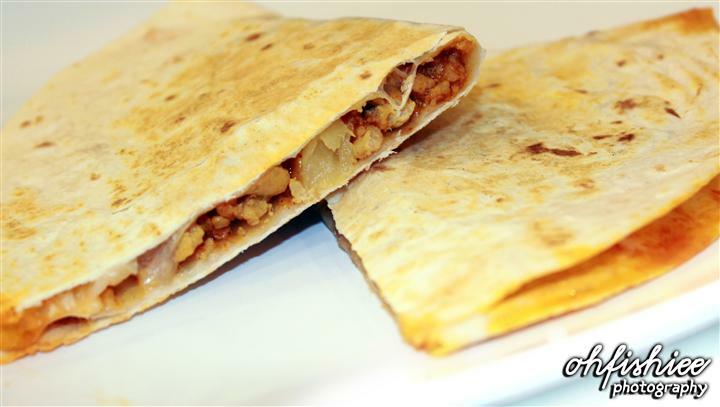 hi Darran, the burrito is indeed the best one! hi Charmaine, hope you love it too! Hello there, i think the desserts are calling us, "Can you pick me up?" haha! Layers of shave ice. that's pretty interesting. Sometimes really envious at you people staying at big city like KL, so much temptations! hi Hayley, yes dessert shops are everywhere in KL! hi Sean, yes burrito with ice cream in it is really interesting. All of these desserts are simply awesome. I can't decide which one to pick and that tower ice, unique and yum yum!!!! hi Xue Ren, yes have you tried? so many of this outthere now..
this look good tho. . The tower shave ice....look nice but does it cause a mess when eating? I must remember this place Pick Me Up. Everything looks so good and appetizing.